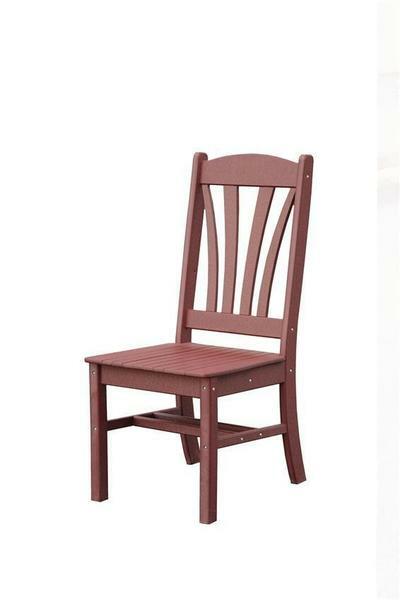 The go-to chair for outdoor dining is a new Poly Outdoor Living Fan Back Side Dining Chair. First up, it's made of poly. Poly is made of recycled plastic, making this eco friendly outdoor furniture. Next up, poly is ultra durable--these chairs will weather the elements and continue to perform. Lastly, it's made by the Amish and offers a lovely style to add to porch, patio or yard. Style your favorite outdoor space today with new custom poly furniture from DutchCrafters. Thanks for shopping with us.